A judge declared a mistrial Saturday in the murder trial of a woman accused of fatally cutting the arms off her 10-month-old daughter. Jurors deadlocked during the fourth day of deliberations in the case of Dena Schlosser, 37, who pleaded not guilty by reason of insanity. "Any further deliberations would be pointless," the jury said in a note to Judge Chris Oldner after nearly nine hours of discussions Saturday. 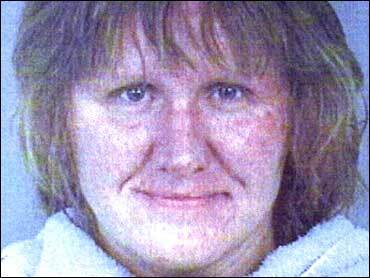 Police arrested Schlosser in November 2004 after finding her baby Margaret, known as Maggie, dying in her crib, and Schlosser covered in blood, holding a knife and listening to a hymn. The prosecution argued that she knew what she was doing, showing the jury grisly photos of the dead baby and emphasizing several witnesses' observations of Schlosser as a healthy, seemingly sane mother. But psychiatrists testifying for the defense told jurors of multiple psychotic episodes Schlosser detailed to them. One doctor said Schlosser told him she felt commanded by God to cut off Maggie's arms, followed by her own limbs and head. Schlosser had a deep cut on her shoulder when police found her. The jury said on the second day of deliberations that it was deadlocked, but the judge ordered them to continue. Jurors requested numerous rereadings of testimony, with one juror even asking Oldner to define the term "deliberation" and the precise role of a juror. Attorneys on both sides said they have never heard of such requests. Dr. William Reid had testified that people close to Schlosser had missed obvious signs of severe mental illness. Schlosser's husband, John Schlosser, said he wasn't alarmed when his wife said after church the day before the killing that she wanted to "give the baby to God." He said she appeared normal after he calmed her down, and he thought her mental condition had improved over the past few months. The summer before Maggie died, Schlosser abandoned Maggie and her other two children by running away from the family's apartment. She was found two miles away by Plano police and released from a hospital less than 24 hours later. The Schlosser family went several times a week to the Water of Life Church. The pastor, Doyle Davidson, testified that he believes mental illness is possession by demons and only God can cure it. Dena Schlosser, who was diagnosed with postpartum psychosis after Maggie's birth, didn't take medication or see a doctor in the four months before the killing. After her arrest, Dena Schlosser was diagnosed with manic depression and declared mentally incompetent to stand trial. But in May, after doctors treated her, a judge found she was competent. Prosecutors said the defense improperly blamed Schlosser's husband, church, social workers and others for her actions. "Were all these entities failing when Dena Schlosser walked into the kitchen, bypassed the small knife and chose the instrument of death?" Assistant District Attorney Bill Dobiyanski said as he displayed the bloody kitchen knife. John Schlosser has filed for divorce and has custody of the family's other two children.